Alongside the pro-spec E-M1X Micro Four Thirds camera, Olympus has revealed a wireless off-camera flash system based upon radio control. This is in contrast to its current system that relies on optical triggering, and therefore requires a clear line-of-sight between the commander and receiver units. Central to the new setup is the FL-700WR flash unit, which features dust, splash and freeze-proof construction, a maximum guide number of 42m at ISO 100, and the ability to act as either commander or receiver. It’ll cost £329.99. Standalone commander and receiver units will also be available, in the shape of the Wireless Commander FC-WR and the Wireless Receiver FR-WR. The commander can control an unlimited number of receiver units arranged in up to three groups, and like the rest of the system, both feature weather resistant construction. The FC-WR will be priced at £279.99, while the FR-WR will be a more affordable £179.99. Like the FL-700WR, they will go on sale at the end of February 2019. The firm has also announced that it’s developing a new super-telephoto zoom lens with a built-in teleconverter, that’s scheduled to appear some time next year. 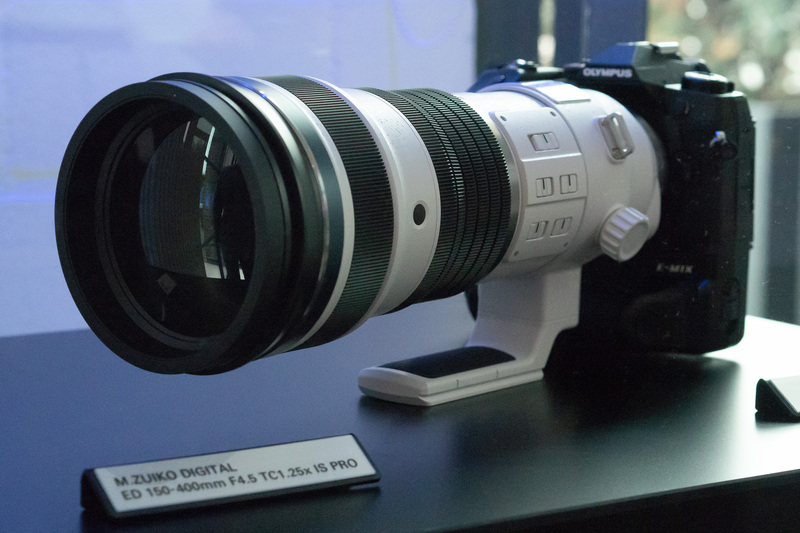 The M.Zuiko Digital ED 150-400mm F4.5 TC1.25x IS PRO will provide a 300-800mm equivalent reach, increasing to 375-1000mm equivalent at f/5.6 when the teleconverter is engaged. The lens is slated to be compact and lightweight, while featuring dust, splash and freeze-proof construction. 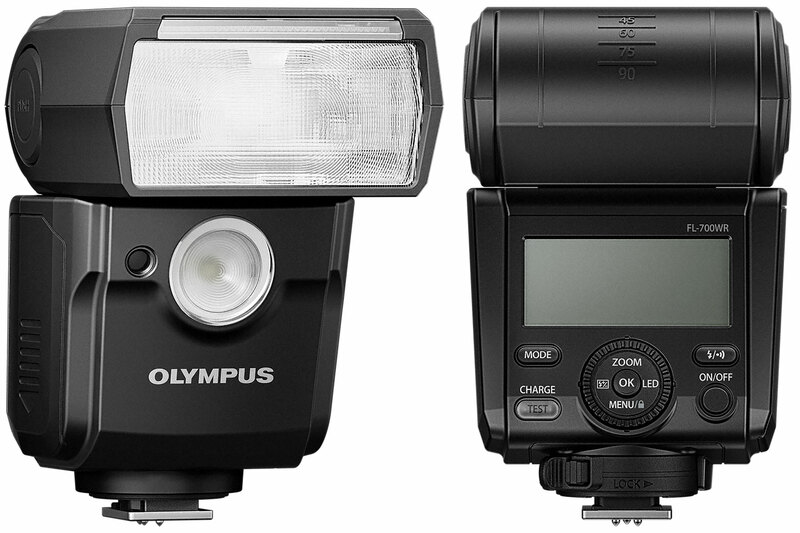 Its in-lens optical IS system will work together with the in-body IS found in all Olympus Micro Four Thirds cameras. 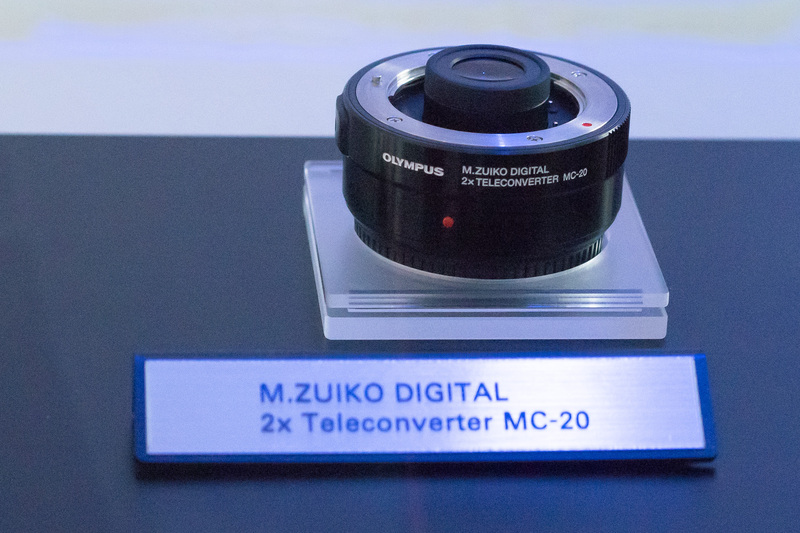 Closer to release is the long-awaited MC-20 2x teleconverter, which is due to go on sale this summer. Along with the upcoming 150-400mm supertele, it will be compatible with the firm’s existing 300mm f/4 and 40-150mm f/2.8 PRO lenses. Again, the teleconverter is said to feature robust, weather-sealed construction. 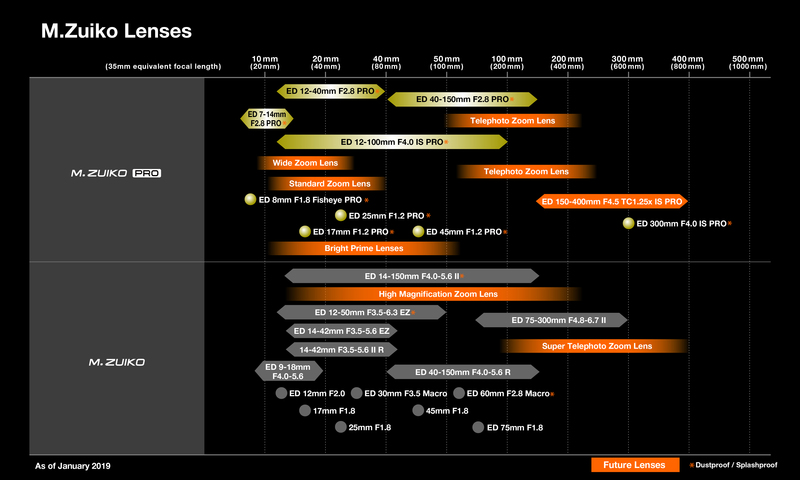 Finally, Olympus has for the first time released a roadmap showing its planned upcoming lenses – click on the image above to see it at full size. To be honest it’s a little vague, showing only broad ranges and whether the new optics will fit into its consumer or high-end PRO line-ups, with no indication of timescales. However it reinforces the firm’s repeated assertions that it’s fully committed to Micro Four Thirds, and won’t be side-tracked into producing a larger-sensor system.